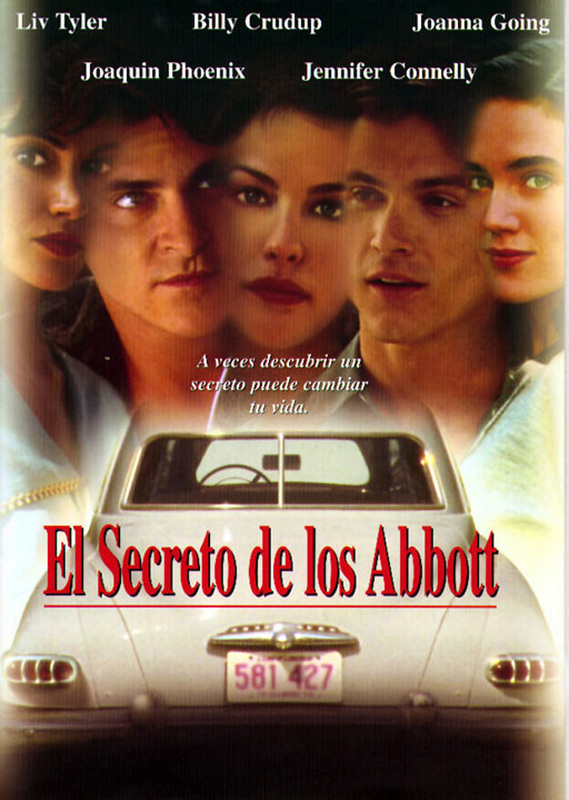 First released in 1997, Inventing the Abbotts is a small town, romantic melodrama about two families in the 1950s. One family is poor. One family is rich. As you can probably guess, each is fated to determine the destiny of the other. Decades ago, Lloyd Abbott (Will Patton) and Holt were business partners. However, after Lloyd had an affair with Holt’s wife (Kathy Baker), their friendship ended. Lloyd eventually becomes the richest man in town and has three beautiful daughters: dutiful Alice (Joanna Going), wild Eleanor (Jennifer Connelly), and virginal Pam (Liv Tyler). Holt is long since dead and his two sons, Jacey (Billy Crudup) and Doug (Joaquin Phoenix) live next door to the Abbotts. While the bitter Jacey is obsessed with the Abbott family and ends up pursuing both Eleanor and the married Alice, Doug claims not to care about the Abbotts. However, despite his claimed indifference, Doug soon finds himself falling in love with Pam. Will Doug and Pam be together or will Lloyd succeed in keeping them apart? To be honest, Inventing the Abbotts is not a particularly good film. It moves way too slowly, Doug and Jacey frequently swtich personalities whenever the plot demands it, the story is way too predictable, the voice over narration is way too obvious, and Jennifer Connelly’s character leaves the film way too early. This is one of those films that is determined to make sue that you never forget that it’s taking place in the 50s and you can be sure that every cliché that you associate with that decade will pop up at least once. There are a few scenes that could have been easily been replaced with a picture of Joaquin Phoenix holding a sign reading, “It’s the 50s,” without causing us to miss out on any important information. And yet, I still liked Inventing the Abbotts. I think it really comes down to the fact that I’m the youngest of four sisters and therefore, I have a weakness for movies about sisters. And the sisters in Inventing the Abbotts are all perfectly cast and believable as siblings so, for me, the movie was redeemed because of the number of scenes to which anyone who is a sister or who has a sister will be able to relate. As such, despite its flaws, Inventing the Abbotts is definitely a guilty pleasure for me. Of course, it’s way too early for me or anyone else to try to predict who and what will be nominated for an Academy Award in 2015. However, that’s not stopping me from trying to do so on a monthly basis! Below are my updated predictions for May. You can read my predictions for April here and my March predictions here. I’ve dropped Get On Up from my list of best picture nominees, mostly because the film’s trailer is just too bland. As for some of the other films that some of my fellow bloggers are predicting will be contenders: The Grand Budapest Hotel may very well deserve a nomination but it may have come out too early in the year. Gone Girl may be too much of a genre piece while Inherent Vice may not be enough of one. Big Eyes would theoretically benefit from the fact that both Christoph Waltz and Amy Adams would appear to be perfectly cast but, after his last few live action films, I don’t have much faith in Tim Burton. As for Into The Woods, my instinct says that Rob Marshall’s latest musical film adaptation is going to have more in common with Nine than with Chicago. No changes here. I nearly dropped Angelina Jolie from the list, just because she’s being so aggressively hyped and early hype always seems to lead to later disappointment. If I had dropped her, I would have replaced her with Christopher Nolan for Interstellar. I dropped Chadwick Boseman from my list of predictions, again based on the blandness of the trailer for Get On Up. I also moved Ralph Fiennes down to best supporting actor. In their place: Joaquin Phoenix and Christoph Waltz. I dropped Jessica Chastain from the list and replaced her with Michelle Williams. Why? There’s really no big reason, beyond the fact that I know more about the role Williams is playing in Suite francaise than I do about the role Chastain is playing in A Most Violent Year. If The Fault In Our Stars was being released in October (as opposed to next month), I would have probably found room for Shailene Woodley on this list. I dropped both Robert Duvall and Channing Tatum from this list, largely because I don’t know enough about Duvall’s character in The Judge and because I have a feeling that, when it comes to Foxcatcher, the Academy will either nominate Ruffalo or Tatum but not both of them. My first replacement is Martin Sheen for Trash, largely because Sheen has never been nominated for an Oscar and the role of an activist priest seems to be perfect for him. My second replacement is Ralph Fiennes for The Grand Budapest Hotel. Originally, I was predicting Fiennes would get a best actor nod but — as is explained in this article over at AwardsWatch — a pretty good case can be made for Fiennes getting a supporting nod instead. Literally minutes before clicking publish on this post, I also decided to remove Christopher Walken and replace him with Ethan Hawke. With three nominations already — one for acting and two for writing — Hawke seems to be popular with Academy voters and he always seems to do his best work for Richard Linklater. Two changes: I dropped Amy Ryan and replaced her with Kristen Scott Thomas. Again, it’s mostly just because I know more about the role Scott Thomas is playing than I do about Ryan’s role. I also, shortly before posting this, decided to remove Kiera Knightley and replace her with Patricia Arquette for Boyhood. So, those are my predictions for this month! Agree? Disagree? Please feel free to let me know in the comments section below. Following the release of two intriguingly vague teasers, the official trailer for Paul Thomas Anderson’s upcoming film, The Master, has been released! There’s not another film coming out this fall that I’m looking forward to seeing as much as The Master. And that’s saying something, considering that the fall is also going to see the release of The Hobbit and Django Unchained. I’ll just let the trailer speak for itself.